Leslie and her co-launched their FranNet office in 1999; they’re well-versed on the dynamics of running a successful multi-generational family businesses. Their local team has helped over 400 first-time business owners transition successfully into a wide variety of franchise opportunities. Named “Top FranNet Consultant” and “Top Enterprise Office” multiple times, Leslie and her consultant team have achieved national recognition for helping nearly 500 individuals and families achieve their dreams of business ownership. 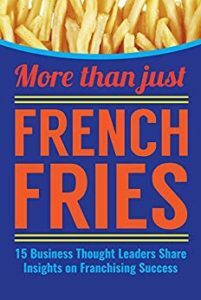 Recently, Leslie became an Amazon bestselling business author as one of 15 franchise industry thought leaders contributing to More Than Just French Fries, a collaborative work on successful business ownership through franchising. Leslie Kuban via email lkuban@frannet.com.